Three meteorites aged at approximately 4.5 billion years were selected by artist Katie Paterson to be melted and re-cast into exact replicas of their original forms. Other Fabrications made silicone and fibreglass moulds around the almost pure iron meteorites found in Argentina, which weighed 25, 70 and 90kgs, and then created reinforced ceramic shells using the lost wax process. 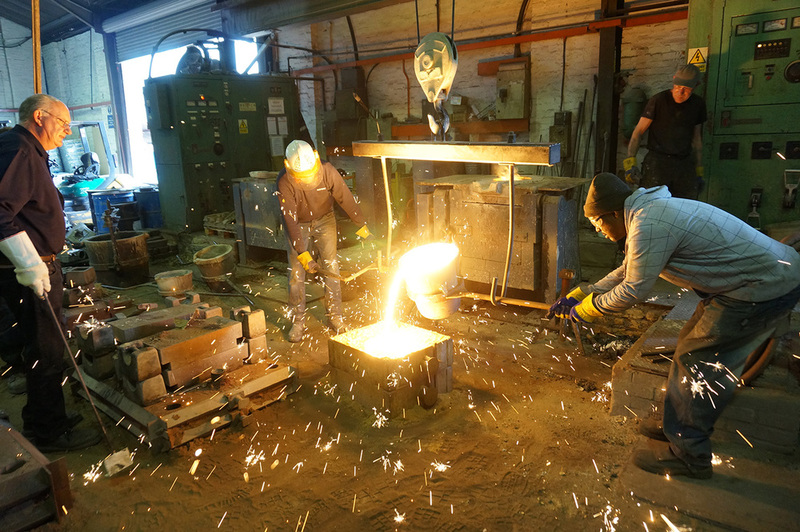 After cutting the meteorites into pieces, we worked with a foundry in Kent to heat them to approximately 1600 degrees and pour the molten material back into the mould of it's original shape.